I haven’t moved far from last week’s townland. At the northwest corner of Grangee is the much smaller townland of Islandhill. This Islandhill is close to Millisle and Carrowdore on the Ards Peninsula, and has no connection with the other Island Hill in Ringcreevy townland, where I took photographs of birds back in 2015. 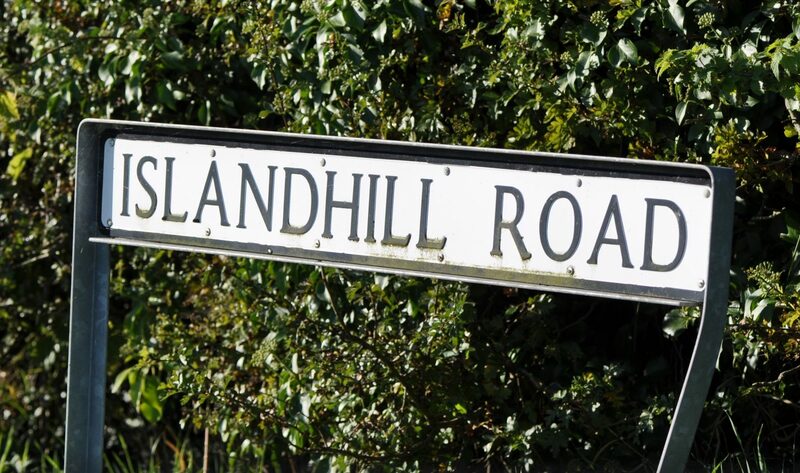 Only one road runs through Islandhill townland, and you won’t be surprised by its name. The entry for Islandhill on PLACENAMESNI.org indicates that the townland name was coined by English speakers. There is no actual island here, just gently sloping farmland, but one suggestion on PLACENAMESNI is that “island” in Ulster place-names is sometimes a replacement for the Irish eanach meaning “bog, marsh”. 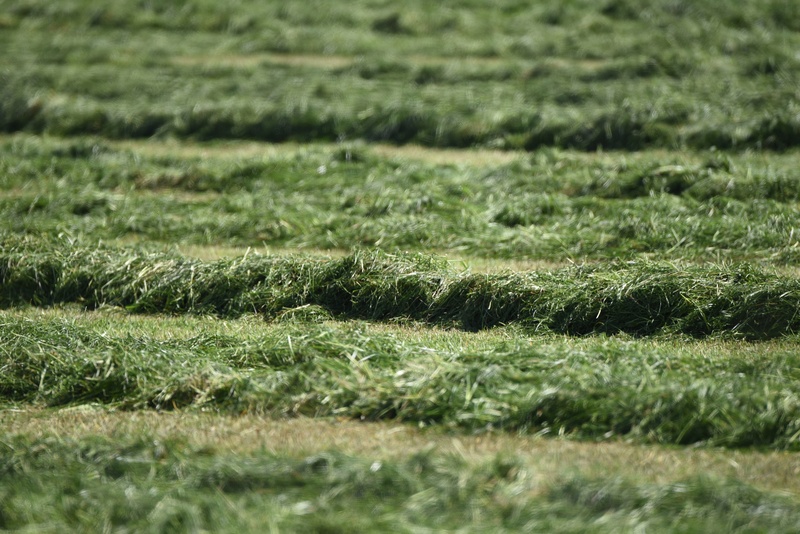 I complained about missing the silage cut in Grangee townland, so here is a photo of silage lying in an Islandhill field. 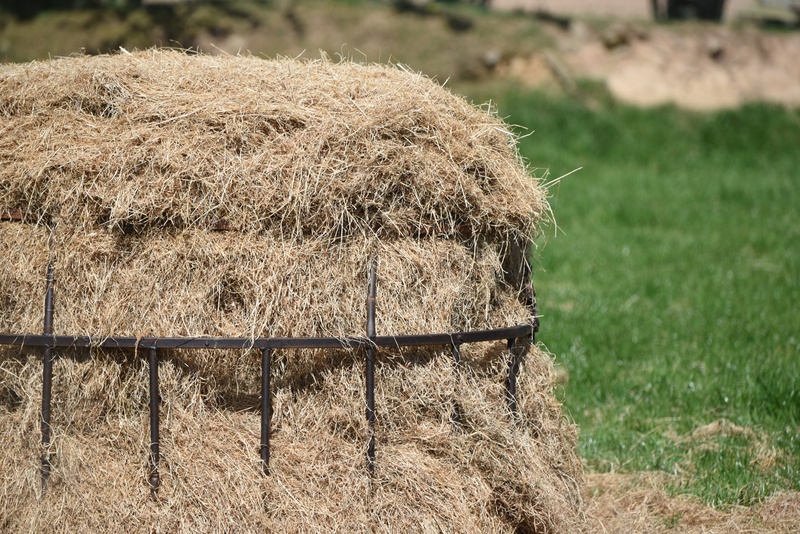 Last year’s hay was still being used in Islandhill. I was happy enough taking my photos from the road. 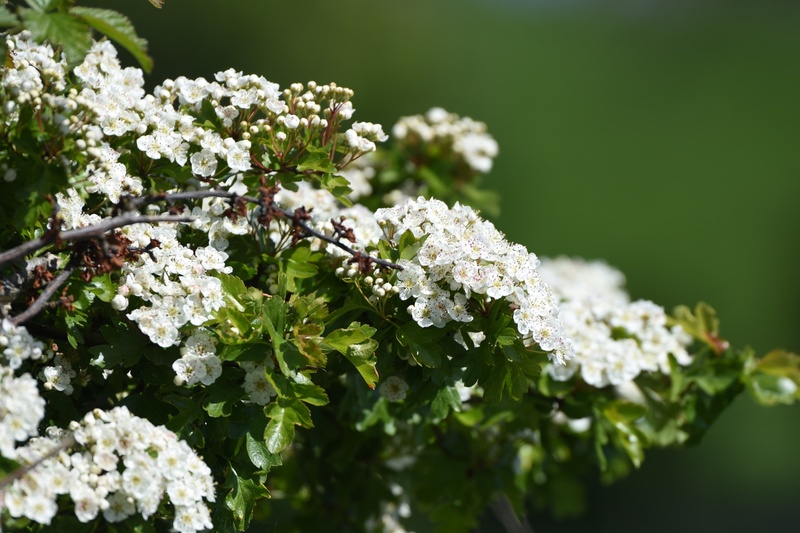 The fields of Islandhill are well-protected by hedgerows of hawthorn. 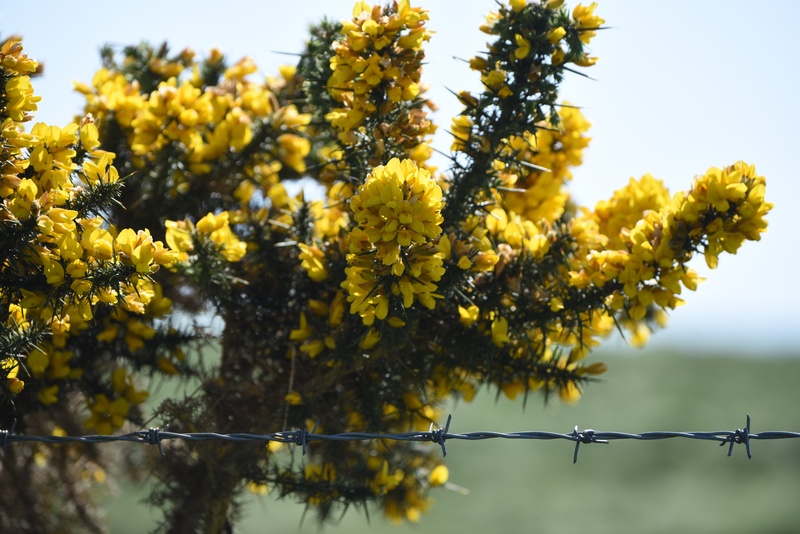 And if that wasn’t enough, some places have spiky gorse, as well as man-made barbed wire. Which townlands border Islandhill? To the north, Ballybuttle. To the east, Ballyfrenis. To the south, Grangee. To the southwest, Ballyblack. Click here for a map of Islandhill on Townlands.IE. And click here to read more about the townland name on the website of PLACENAMESNI.ORG.